Food, Travel & Tales—One woman's search for the perfect meal with a side dish of adventure. As a fan of Oprah Winfrey, I’ve followed her ascent to stardom (idoldom actually), as well as her amassing, and then trying to give away one of America’s greatest fortunes. What can I say—I like Oprah and I’m glad she’s done well. 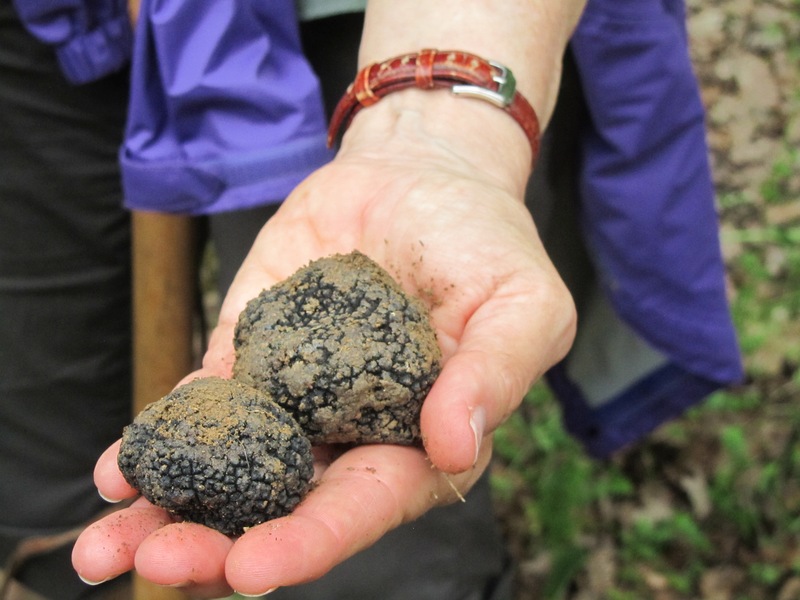 However, since she lives such an amazing life, I was a little surprised when I read that the only thing left on her bucket list was a truffle hunt. Wait, a truffle hunt? Something, via my culinary tours, I know well and have the good fortune to partake in once or twice a year. Could it be that Oprah, the Queen, could be envious of mere mortal me? Or is she handing me a marketing tool on a silver platter? Maybe both. See, I knew we had a special connection. Truffles just pulled from the ground. Experience Delicious Adventure! Sign up for one of our gourmet journeys: Italy, Mexico, Slovenia, South Africa. Read more.